I don’t ever wanna feel, like I did that day. I was in LA recently to do a TV show. It was kind of a big deal for me. While I was there, I hung out in Hollywood, saw a great show, and met some really cool people who invited me to be on their show. While riding the Red line in the city, I noticed we were approaching a stop. MacArthur Park. Instinctively, I hopped off the train. There was something I wanted to do there. The song was personal to me. Particularly the lyric, “I don’t ever wanna feel like I did that day.” I’ve thought of it often during some very low moments of my life. In the book “Scar Tissue” by Kiedis, he discuses how the song came out of a sense of loneliness, loss, and isolation. 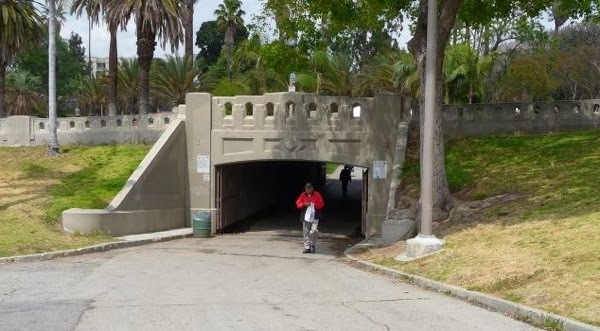 For Kiedis, under the bridge was a place he shot heroin with gangsters and thieves. It was rock bottom for him, and he never wanted to go back there again. I think we all have our own version of “under the bridge.” A place or maybe a moment or a time that we desperately hope we never have to return to. I know I certainly have some of these darker places in my memory bank. It may seem strange to want to visit this place, but I wanted to do so when I was experiencing a really good moment in my life. It reminded me that life can change. That even in our darkest moments, there’s a chance we can turn our lives around. That whatever hope we can gather in these moments is not in vain. The story has a happy ending. For Kiedis and for me as well. But it was a great meditative moment. As a psychologist I see people in the middle of their darkest hours, and a large part of my job is the installation of hope. My trip under the bridge reminded me that whatever advice I have to dispense has been hard-earned. It was important to remember. Eventually my great day came to an end. They always do. They don’t last forever any more than the awful days do. Maybe in the end this is the most important lesson. Good, bad, victory, defeat? They are all temporary and transitory states of being.